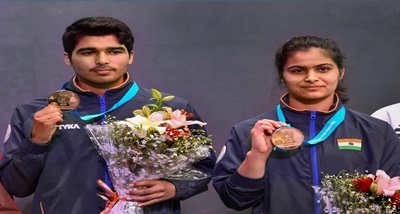 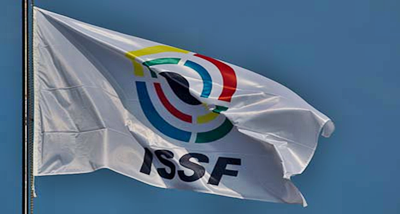 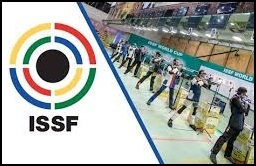 India's Saurabh Chaudhary continued his brilliant run of form as he clinched the 10 metres Air Pistol Junior gold at the International Shooting Sport Federation (ISSF) Shooting World Championship in Changwon, South Korea today. 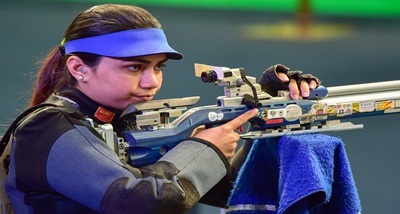 The 16-year-old produced an impressive show in the final to clinch the gold with a new junior world record. 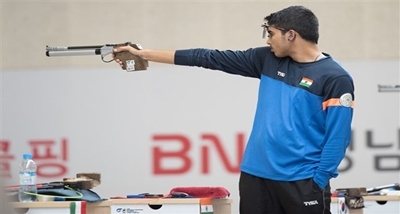 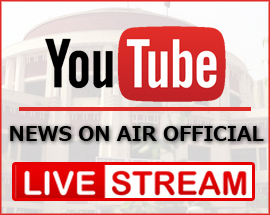 Arjun Singh Cheema claimed bronze in the same event with a score of 218 while Korea’s Hojin Lim clinched silver. 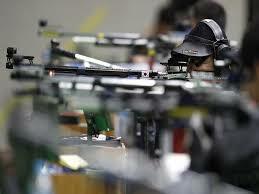 India also picked up a silver medal in the junior men's trap team competition.